Vicki S. Veenker frequently serves as a neutral in patent infringement and other intellectual property cases. She is on the Mediation Roster for the International Trade Commission and both the Mediation and Neutral Evaluation panels of the U.S. District Court for the Northern District of California. Ms. Veenker has over twenty-five years of patent trial and appellate litigation experience. As a partner at Shearman & Sterling LLP, she founded its Silicon Valley intellectual property group. Previously, Ms. Veenker was a partner at Fish & Neave (now Ropes & Gray) in Palo Alto, after beginning her career in its New York office. 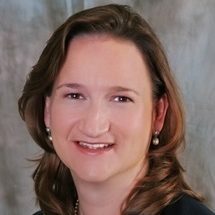 She recently founded Veenker Law Offices, which represents parties to IP disputes. Ms. Veenker also has expertise in sports law, having served as General Counsel to Women’s Professional Soccer in 2008-2010. Ms. Veenker taught IP-related courses, including ADR in Patent Cases, as an adjunct professor of law at UC Hastings and Santa Clara University. In 2002, she was named one of California’s top 20 lawyers under 40 by California Law Business and has been named a leading IP practitioner numerous times by Practical Law Company, The Legal 500, SuperLawyers, and others. She earned a law degree from Georgetown University Law Center, where she was Editor-in-Chief of the Journal of Law & Technology, and a B.S. in Biochemistry and a B.A. in Political Science, both from Indiana University.